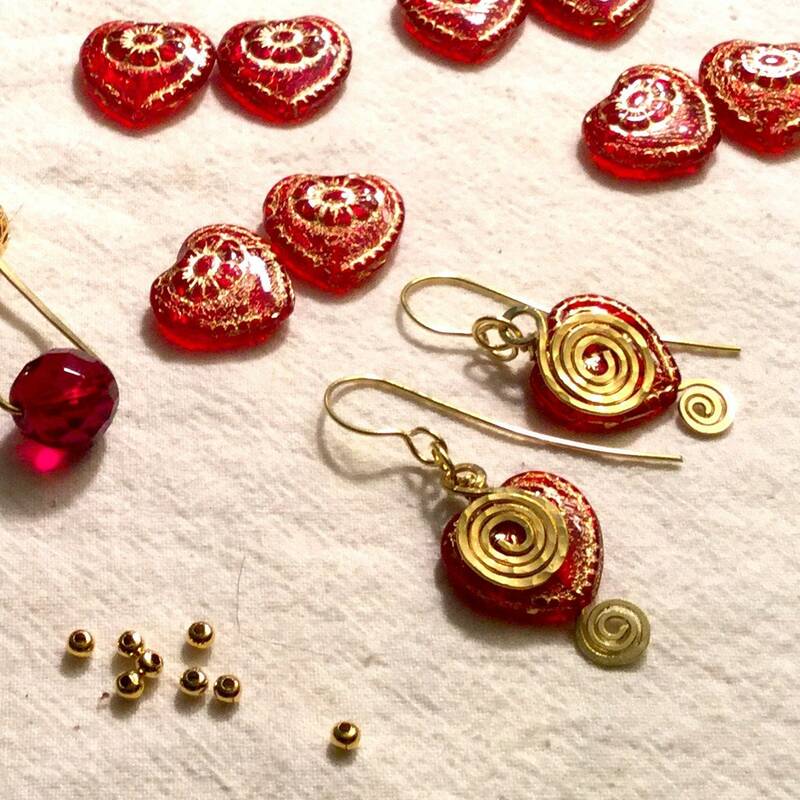 Unique whimsical handmade red and gold earrings feature peek-a-boo red Czech glass hearts. Brass wire is spiraled, formed and forged, including handmade hook ear wires designed to orient the very mobile spirals as they swing freely. About 2" long measured from top of earwire. 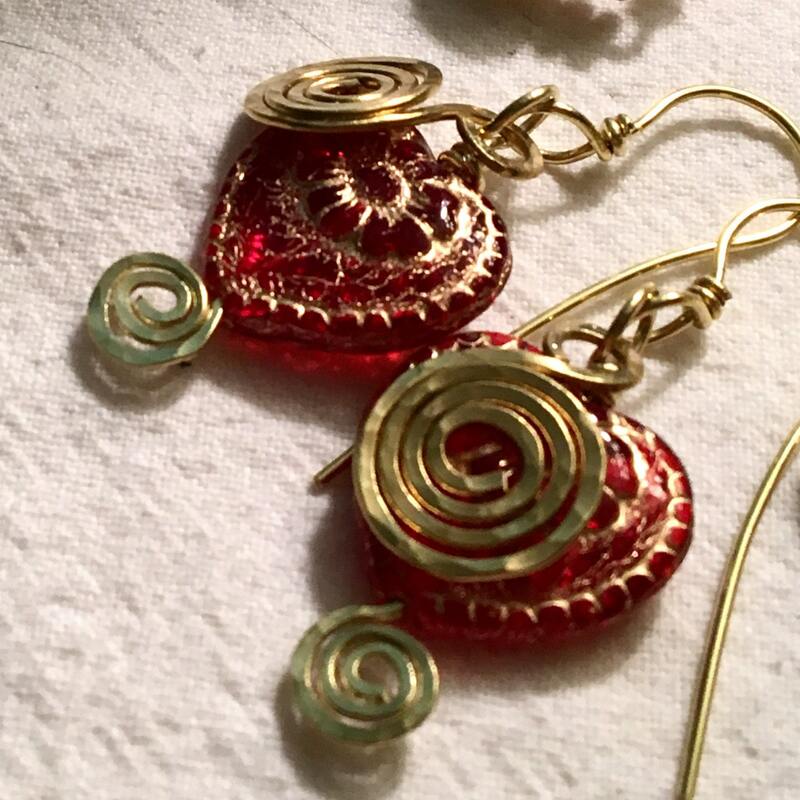 From a limited edition of brass and red glass dangles (as seen in a photo here) made for FUN & all priced to give at $20. I made these to celebrate LOVE & Valentine's Day. 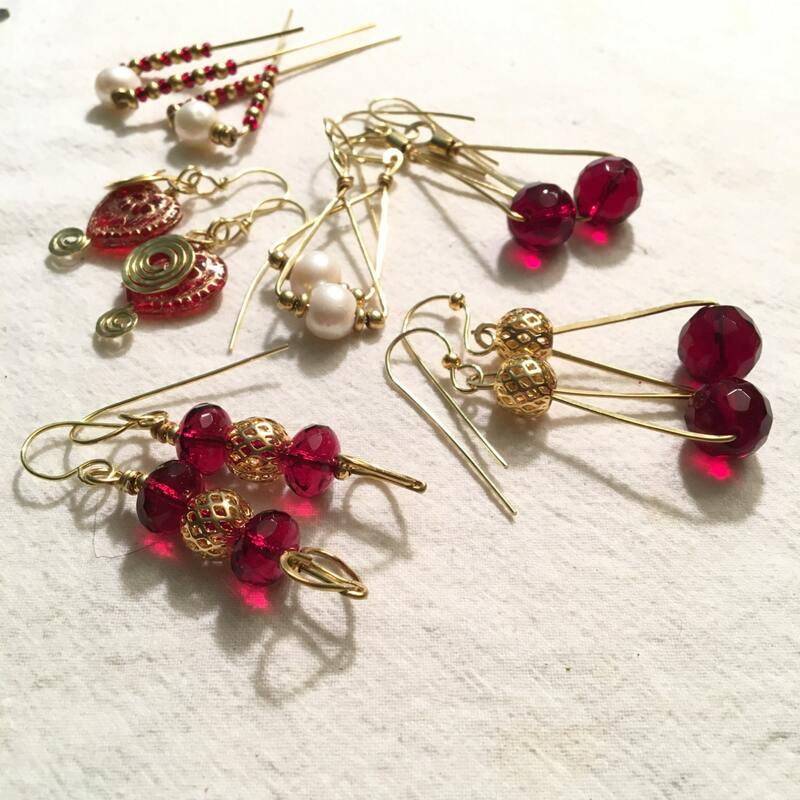 Find more here https://www.etsy.com/listing/509350975/glorious-red-and-gold-dangle-earrings? 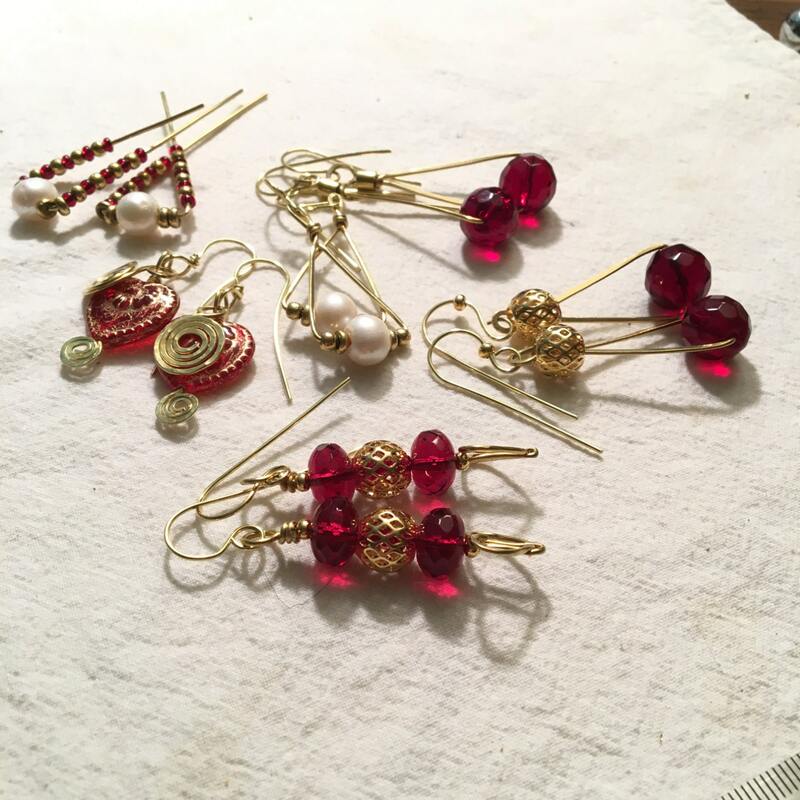 Fun, unique & affordable earrings to wear and to gift, these are READY TO MAIL and packed into my signature gift box. OH MY GOSH!!! 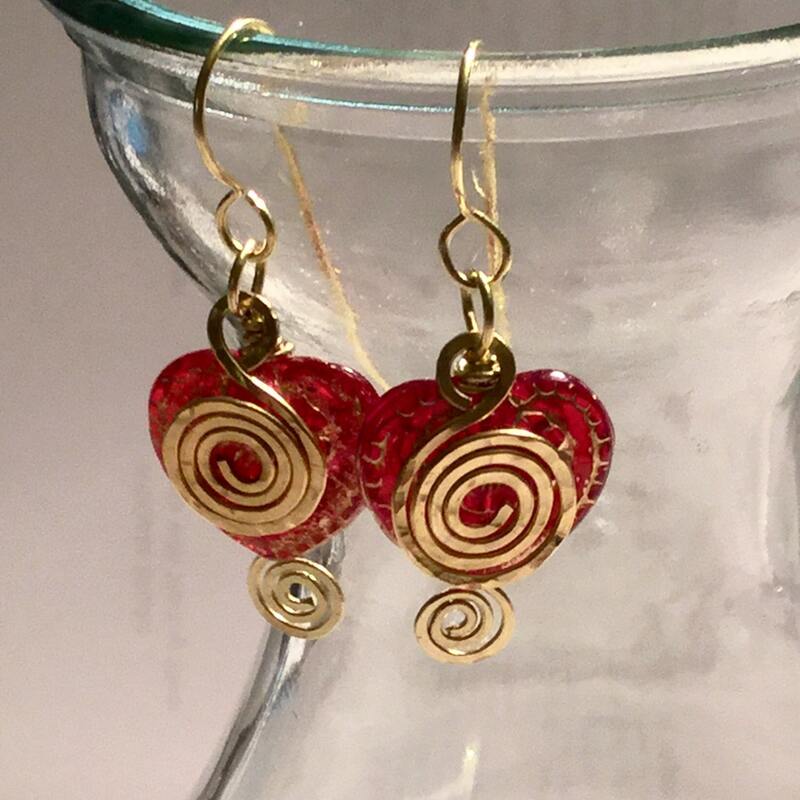 I've already received my valentine earrings and they are so shiny and bright - I love them and will be showing them off b4 and after Valentines. Also, thanks Karen, for the wrappings around the gift box; I always enjoy them!